Students Deion McIntosh, Trinity Robinson, Aliyah Riley, William Anderson, and Emmanuel Singer addressed a major issue that planners in coastal areas tackle every day: rising sea levels. 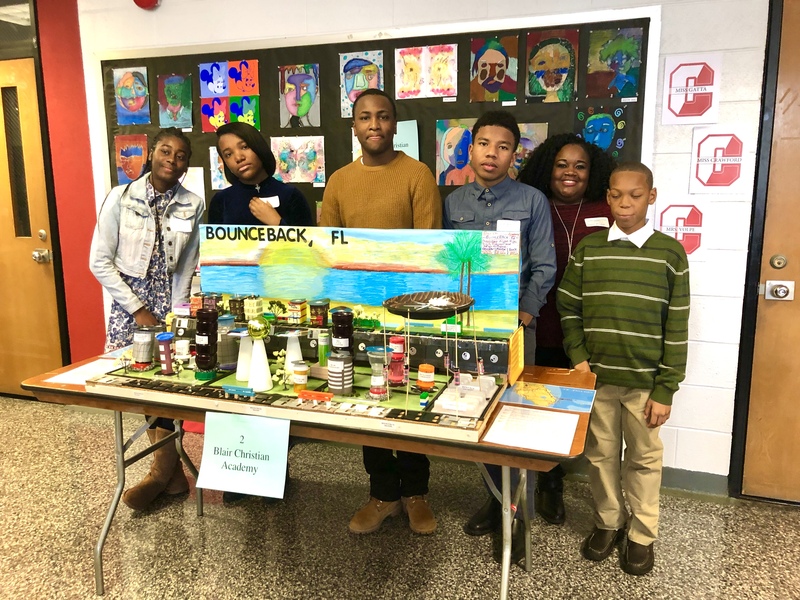 Their future city, Bounce Back, was located in southeast Florida. Its resiliency to hurricanes and other weather events was reflected in its name. The team did a wonderful job building their model with recycled materials. 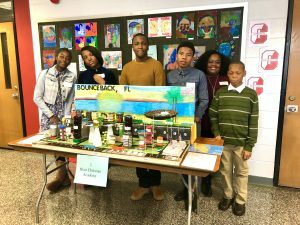 They made use of old floppy disks they found in a closet at school for many of the elements of their model, such as a storm shelter and rooftop solar panels. Congratulations to the Blair Christian Academy team of future engineers and planners! 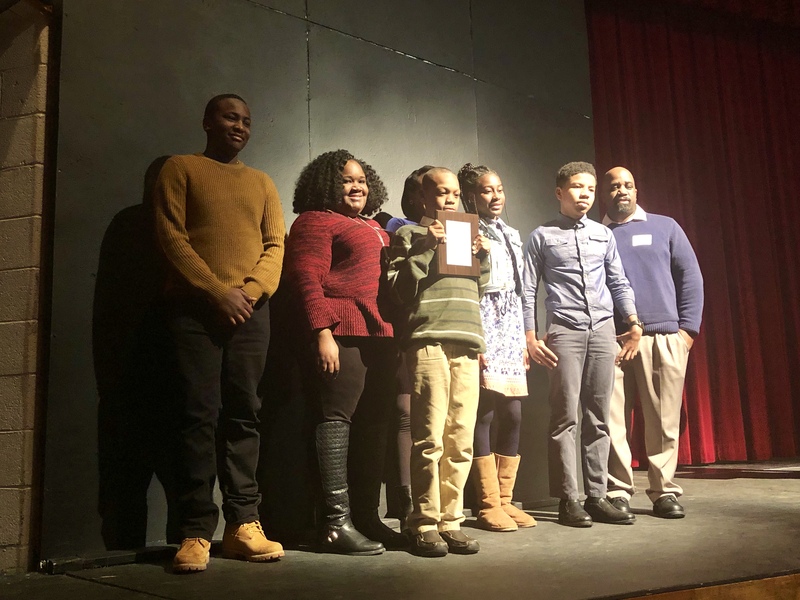 The Downingtown Middle School team featured above with their teacher, Derek Mastrangelo, and mentor, Tom Chmielenski (Bentley Systems). 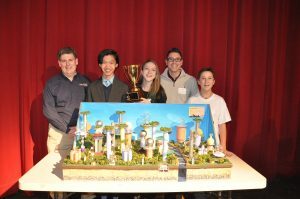 Downingtown Middle School took home the first place regional trophy for its city Amalda and will be competing at finals in Washington, D.C. in February!